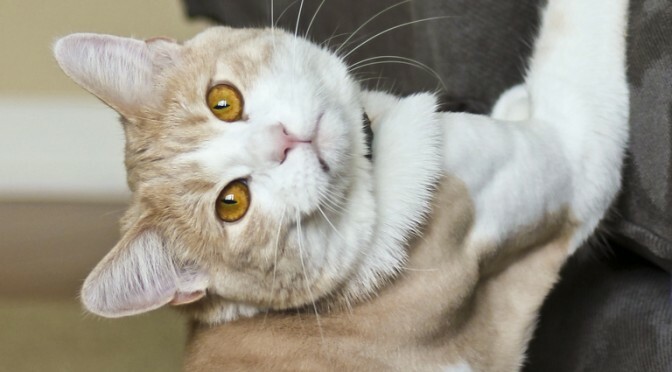 How to Deal with Common Cat Quirks - Petpav - Your Online Magazine for All Things Pet! While we all love our feline friends dearly, there are times when our cats can be a tad high maintenance. Sometimes after a little catnip or not as much attention as they think they deserve, our cats become hyper and do naughty/annoying things to keep us on our toes! Or because they can. It is important that we cat owners do our part and make sure to have time to play with our cats so they don’t become too antsy or bored, feed them a well-balanced food and provide plenty of water for them. The more satiated and/or well fed they are in the day, the less likely they will cause havoc in your home. If you’re using clumping litter and are tired of how it sometimes sticks to the cat litter pan, you can try using a little non-stick spray to stop this problem. Wash the litter pan, let it dry, spray some non-stick spray inside the pan and make it is completely dry before putting litter back in. It should help keep the clumps from cementing to the pan. You can also buy a pine litter product that does not stick to the litter box and doesn’t track litter all over the carpet or floor. It also smells nice and is great for those cat owners who have allergies. If your cat attacks your toes or feet while you are trying to walk around your house, redirect this behavior with a toy. You may want to have a few toys on strings or feather toys in different rooms. You can even walk around holding the toy, like a fishing pole, and let the cat play with that instead of your toes or feet. And, of course, when your kitty does the right thing, make sure to praise the correct behavior and eventually your kitty will choose the toy and not your feet! 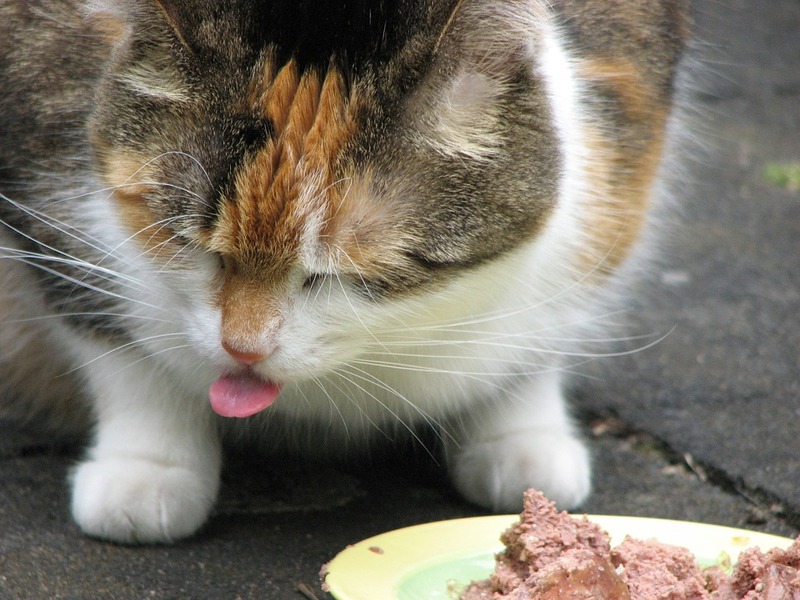 If your cat seems to walk away from the food bowl, it might not be the food. Try getting a new food bowl first as it is easier to transition a cat to new bowl. Sometimes if a cat’s whiskers touch the edges of a bowl they will back away from it. The width of the bowl may seem too small. You can switch to a flatter bowl or even a plate before trying to see if it’s the food or a health issue. Sometimes that is all it takes before your kitty is devouring his or her meal. If your cat chews on your electric cords, it is not only bad for your cat, but can destroy your cords. You can purchase flex tubing that can be placed over multiple cords and you can wrap them up inside. It tidies up your space and also keeps the cat from accidentally being electrocuted, the latter which is most important! Does your cat think digging in potted plants is a fun pastime? To curb this behavior, you can sprinkle a little powered habanero pepper on the soil. The smell of it will repulse your cat, and if some gets on his or her paws, a little lick will quickly associate the potted plants with a negative consequence. But, be very sparing as it can harm your cat if they ingest a large dose. And usually once they make the association of yucky smell and plants, you won’t have to repeat the process. If you have a very active cat that wants to play when you come home and won’t stop bugging you, try to keep a variety of toys around. Spend a few minutes each day playing and creating a routine that works best for both of you. This way your cat will slowly know that before dinner she gets to play with a fishing rod toy and after dinner (or right before you go to sleep) it’s time to nap and receive a ton of affection. With a little play routine each night, you and your kitty will sleep a lot better. We love our cats and want them (and us) to remain happy and healthy and live a long time in our household where we all can thrive.